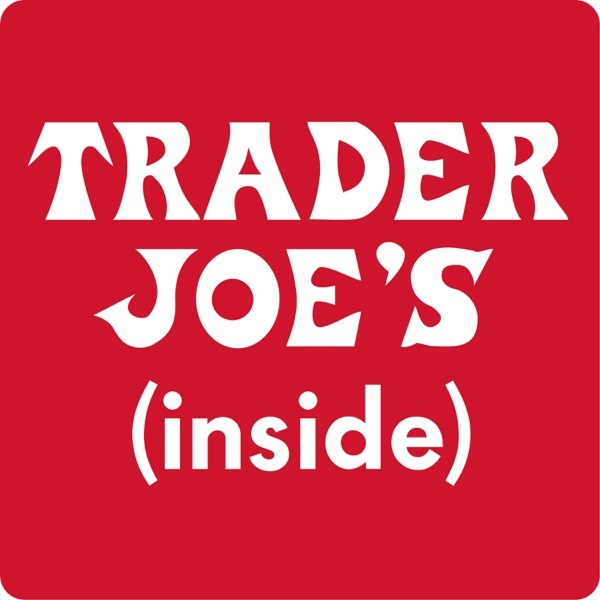 From our humble beginnings as a small chain of eclectic Southern California convenience stores, Trader Joe’s has grown to become a national chain of 487 (and counting) neighborhood grocery stores, employing more than 43,000 Crew Members. How? By being comfortable with being different. For the first time, our Captains (store managers) and Crew Members (employees) are taking you Inside Trader Joe’s in a podcast series only Trader Joe's could deliver. Go inside: * A private Tasting Panel, where decisions are made about new Trader Joe’s products. * A wine tasting tour to Napa Valley, California, looking for great wines and great values. * An overseas adventure, where new Trader Joe’s flavors are discovered. * The mind of Joe himself to find out why the Crew Members wear Hawaiian shirts. * The values that make Trader Joe’s so different. Are you a Trader Joe’s fan? Want to know what keeps people coming back? Go Inside Trader Joe’s. Thanks for listening. It's the episode where we talk about the abundant flowers and plants you'll find at your neighborhood Trader Joe's. We travel the world in search of the most beauteous blooms and festive flowers, and we bring them to you at prices that really define value. How on earth do we do it? Have a listen. Got a question you'd really like to ask the folks who make things happen here at TJ's? Send it to us at podcastquestions@traderjoes.com. We'll use as many questions as we can in an upcoming episode of Inside Trader Joe's. It's beginning to look a lot like the holidays at Trader Joe's! How do we come up with all the great holiday products you'll find at Trader Joe's every year? How long does it take to make all that delicious stuff come to life? What's new this holiday season? And did you know Dog Advent Calendars are a thing? Come Inside Trader Joe's and we'll help you get into the holiday spirit. Ho Ho Ho ! Trader Joe’s has been selling nuts, wine, and cheese since our even-humbler beginnings. In this episode of “Inside Trader Joe’s,” we explain which nuts our customers are the most nutty about. We recommend some cheeses you may not have tried. And we reveal which wines are, we believe, the best in the store – at any price. When it comes to quality, Trader Joe’s sets a high bar… way above what the law requires. In this episode, we explain what’s in the food, what’s not, and what will never be. So if you’re avoiding artificial flavors, added sugar, GMOs, or MSG, or think maybe you should, this episode is for you. Also, a new “mask” that could be fun for Halloween, and just happens to be great for moisturizing year round. Sometime, someday, you may need a little help from a neighbor. Millions of us do. Find out how we try to be good neighbors in every one of the 475 neighborhoods we serve. Then, honest answers to some of the toughest Customer questions we receive. Like, “Why did you drop my favorite product?” and “What’s up with the parking lot? !” Finally, we peer into our crystal ball to see the future of Trader Joe’s – come along for the ride and join our shopping adventure! Oh sure, we could sell your favorite Trader Joe’s products online, but that’s not who we are. We could collect data about you, but that’s really not who we are. We strive to make shopping at Trader Joe’s an enjoyable experience, a fun adventure. For many, a Trader Joe’s store has long been the place to buy wine, and they ask us, “How do you do it – offer such great wines at such great prices?” We’ll show you the secret on a trip to Napa Valley, California. And why are Trader Joe’s Crew Members so happy, anyway? The answer is surprisingly simple. Also, the inspirational advice that one customer gave TJ’s CEO. At Trader Joe’s, values aren’t just great deals on great products. They’re also the values we live by, every day in every neighborhood store. We’ll share the ways we put those values into practice when we take you inside our (top-secret) Tasting Panel, where decisions are being made about what products to put on Trader Joe’s shelves. Then, Joe himself (yes, there is a Trader Joe) helps explain how it all began… including why we wear those oh-so-stylish Hawaiian shirts. People can’t stop tasting them and talking about them. What makes Trader Joe’s products so different? How does an idea go from being one of our new discoveries to one of yours? Meet the person with the best job at Trader Joe’s (or maybe anywhere! ), traveling the world in search of new flavors. What went wrong (and turned out right) when we introduced Mandarin Orange Chicken, among our most popular products ever. How a customer got a laugh from our CEO and changed the way we sell bananas. What’s NOT in Trader Joe’s products? Here's a quick taste of Inside Trader Joe's, a new 5-part series coming May 1, 2018, from the folks at Trader Joe's. There's no other store like Trader Joe's. Now you can go behind-the-scenes to find out why Trader Joe's is... Trader Joe's.